Finding your way around Bully is so much easier if you've got a couple of Maps to help you figure out the lie of the land. 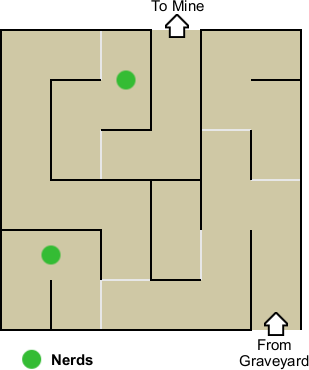 An in-game map is accessible by pressing , but it doesn't cover the insides of buildings. Blip on map that marks the location of barber shops. Blip on map that indicates both bike shops and the BMX park in New Coventry. 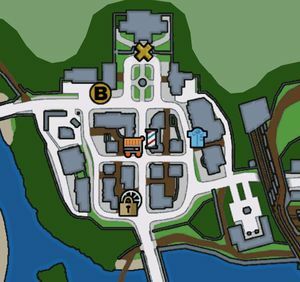 Blip on map that indicates the locations of the optional Challenges. Blip on map that indicates the location of clothing stores. Blip on map that indicates the location of the comic book store in Bullworth Town. Blip on map that indicates the location of your garages where your bikes are stored. Blip on map that indicates the location of grocery where you purchase chocolates, flowers, eggs, cola, spray paint, and a can of spuds. Blip on map that indicates the locations of jobs. 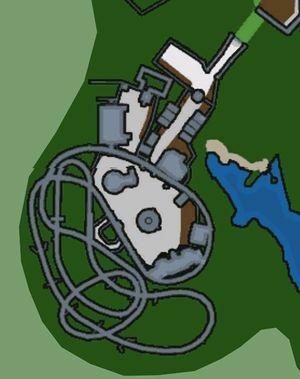 Blip on map that indicates the starting locations for Missions. Blip on map that indicates the sign-up sheet locations for bike races and the locations to begin go kart races. Blip on map that indicates your location. 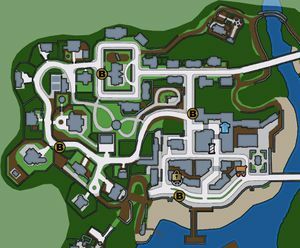 These maps are for the external areas of Bullworth Academy and the surrounding townlands. 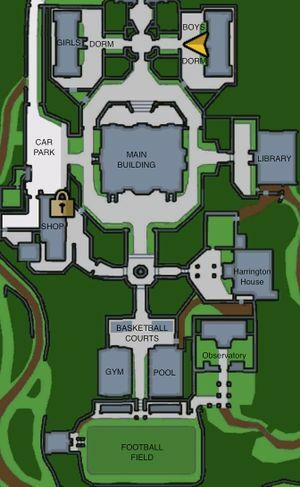 Map of Bullworth Academy and its grounds. 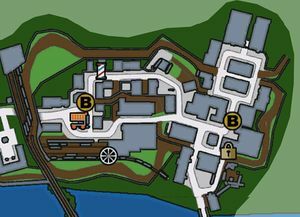 Map of Old Bullworth Vale. 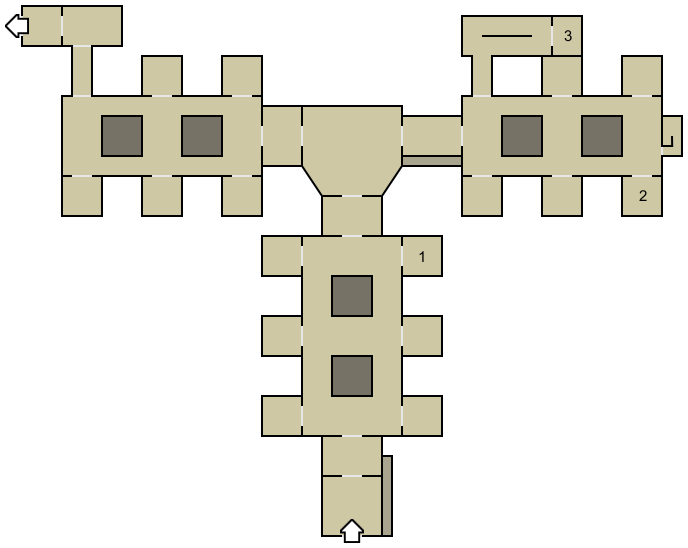 Map of Blue Skies Estate. 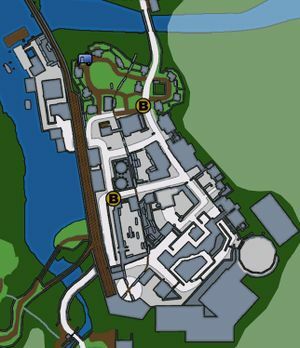 These maps show the layout of various important buildings that you'll enter throughout the game. This page was last edited on 17 November 2016, at 19:49. This page has been accessed 43,320 times.